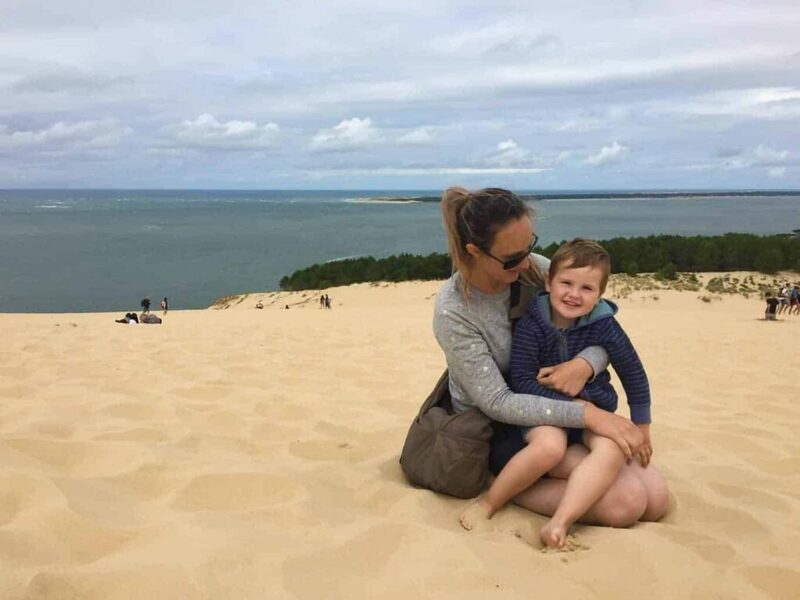 When my husband told me he wanted us to visit the Dune du Pilat (also commonly known as Dune de Pyla) I was a little sceptical. After all, I grew up on an Island – I’ve seen a few sand dunes in my time! 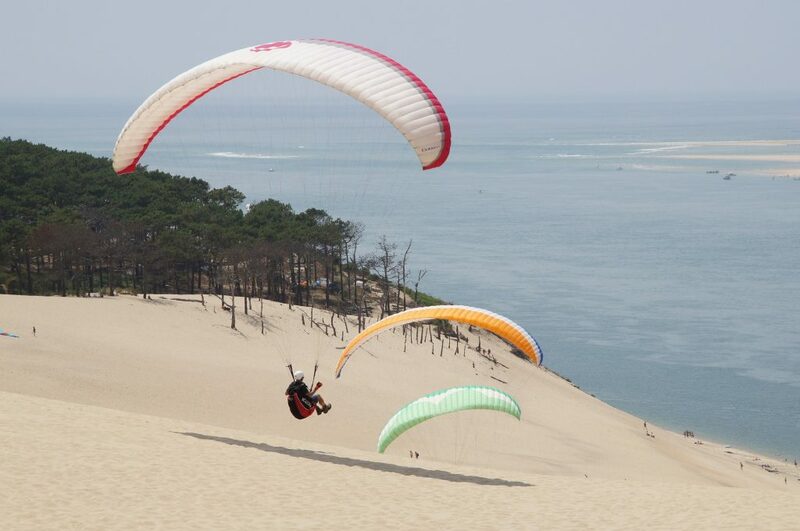 But, as I was about to find out – I hadn’t experienced anything quite like the Dune du Pilat. 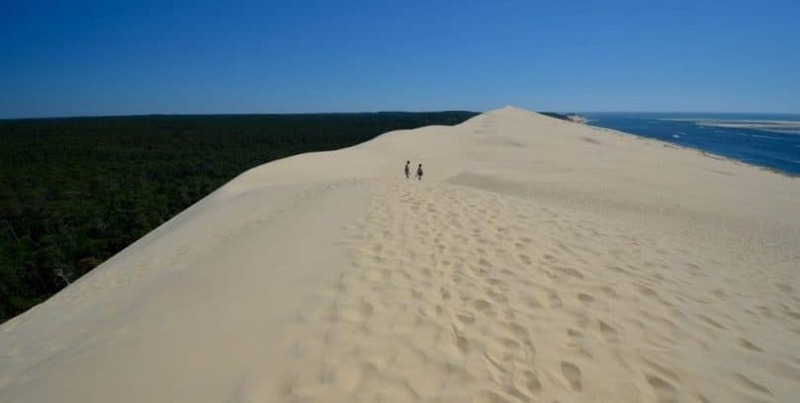 It was a sunny but unseasonably cool day in early July when we packed our car and headed off to the Dune du Pilat. Driving towards the southern shores of Arcachon Bay, the traffic grew thicker with each passing signpost – none of which seemed in agreement about the correct spelling of the Dune (is it Pilat, Pyla or even Pylat?). When we arrived, there was a long line of cars – everyone eager to get a glimpse of Europe’s most famous pile of sand. Snapping up one of the last spaces in the dedicated car park, we clambered out of the car and made our way towards the dune. The path leading to the dune winds through the pine forest, the tall trees blocking the view as you approach. Reaching the foot of the dune I start to understand what all the fuss is about – this thing is massive! Forget the subtle sloping dunes at Sandfly Bay, the Dune du Pilat rises up in front of you like a huge imposing wall of sand, giving no hint of the vast ocean that lays behind it. The dune is almost 3km long, a smidge over 100 metres high and approx 500m wide (it’s growing each year – slowly swallowing the pine forest at its feet). Man-made stairs protrude from the dune to make the climb a little less daunting. Or, if you’re feeling energetic you can scramble up the dune freestyle. The climb is worth well worth the effort. 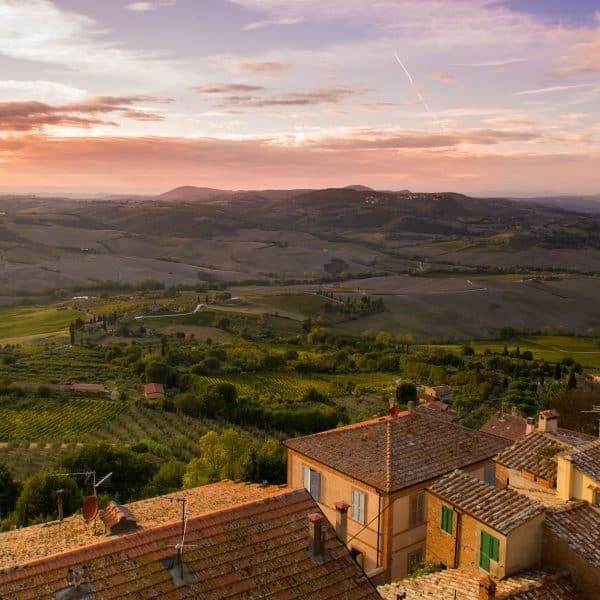 Once at the top, you are rewarded with sweeping views over the Cote D’Argent. The Atlantic Ocean laps the golden sand on one side of the dune, with the Landes Forest laying out like a lush green blanket on the other. Unlike the endless dune landscapes you find in desert countries such as Qatar, the contrast between the sand and forest makes this European sand dune an even more striking sight. You can slide down the other side of the dune to splash at the shore below or walk to the southern end of the dune to watch the paragliders taking off. During our visit we saw families setting up tents, picnics being laid out, and boogie boards being brandished – it seems as though some had set in for the day. 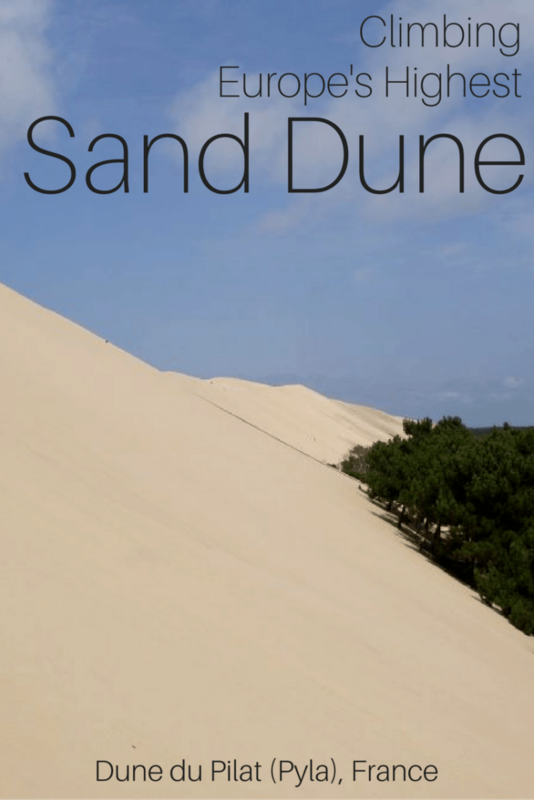 So is it Dune du Pilat or Dune du Pyla? 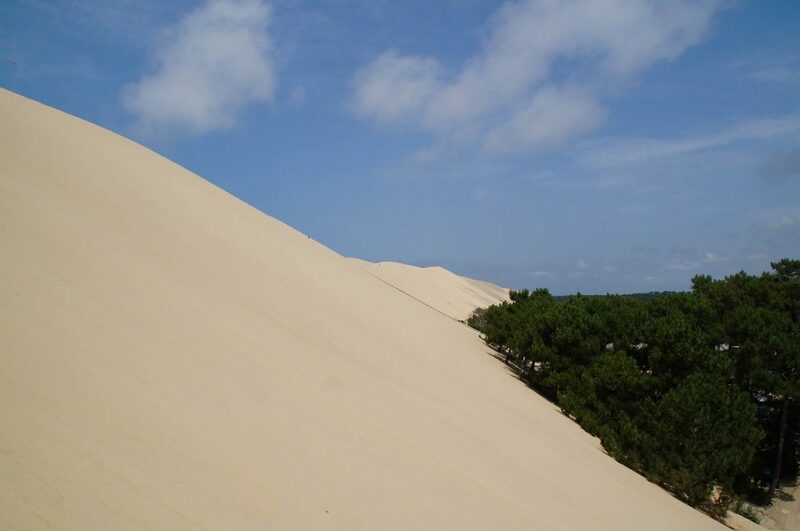 Despite commonly being known as the Dune du Pyla – or Dune of Pyla – the official name is Dune du Pilat. The confusion seems to stem from the nearby resort town called Pyla-sur-Mer. 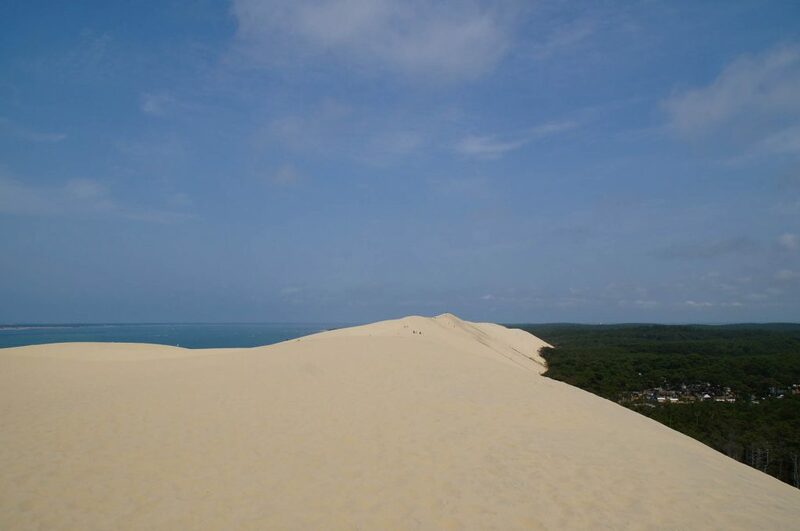 Dune du Pilat is situated just over 60kms/approx an hours’ drive South-West of Bordeaux, or 15 mins by car from Arcachon. Another option is to take the coastal 30km cycle route from Biscarrosse in the South. The dune is well signposted – despite the various (mis)spellings! If you’re visiting France without a car, you can take the train from Bordeaux to Arcachon, where a bus will deliver you to the dune. 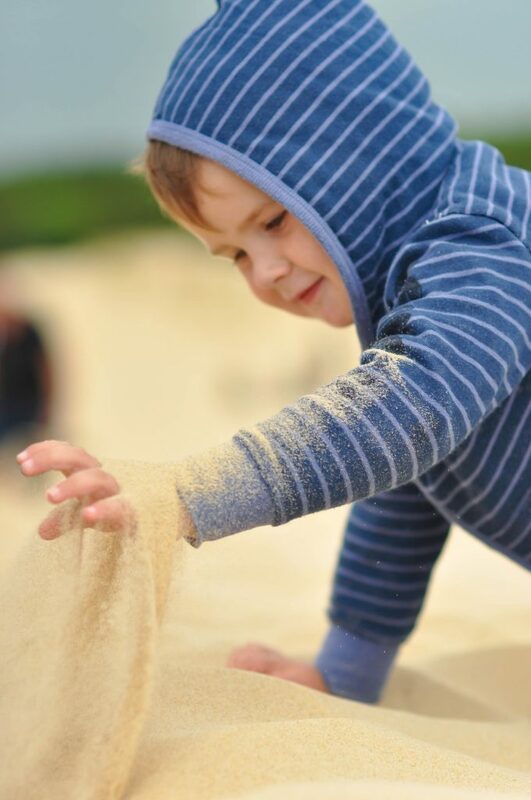 If you’re visiting Dune du Pilat with young kids – ditch the stroller and grab a baby carrier/backpack instead. My 3-year-old climbed the stairs leading up the dune without trouble, but I wouldn’t have ventured down to the ocean side of the dune without being willing (and able!) to carry him back up again. There are places to grab a bite to eat at the bottom of the dune, but I’d recommend packing a picnic and eating your lunch on the sand. 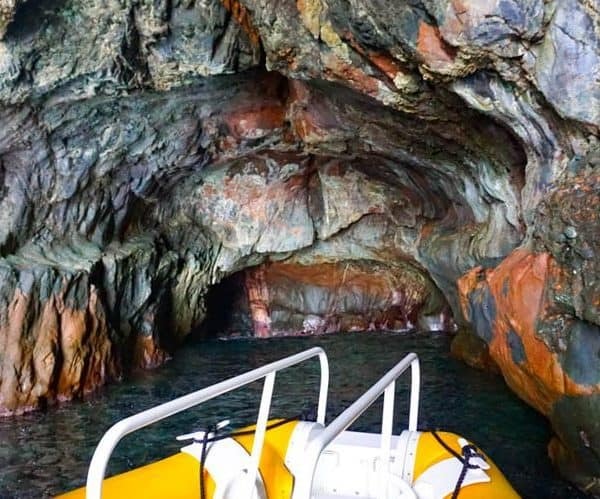 Bring water, sunblock, a hat and swimwear if you’re visiting during the hotter months! Dogs are allowed on the dune as long as they are kept on a leash. Don’t leave your furry friends in the car! The sand dune will have you captivated longer than you think, and it gets hot – even in the shade. Sadly this is one attraction that is unsuitable for visitors in wheelchairs. The Dune du Pilat carpark currently costs €4 for 4 hours, or €6 for the day during peak season. Or €1 for 4 hours & €2 per day during quieter times. If you enter the carpark but have no luck finding a space, you can exit again without paying as the first 30 mins are free of charge. 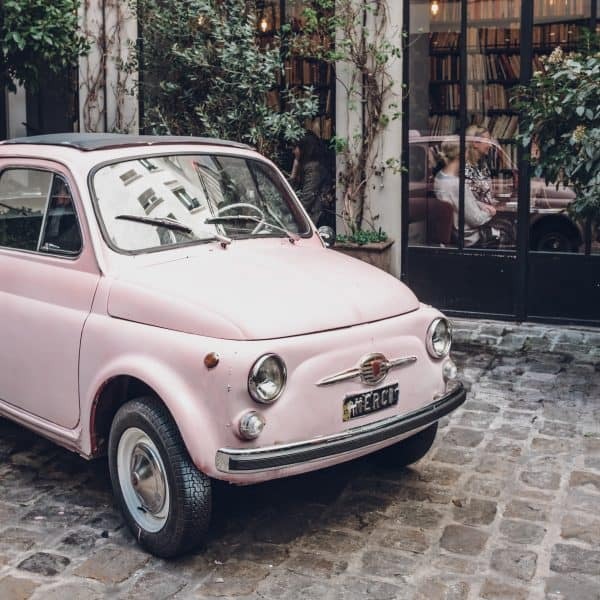 A cheaper option is to take a right at the roundabout immediately before the dune (towards Arcachon) where you’ll find a few free roadside spots. There’s the usual smattering of cafe’s, ice-cream stalls, and gift shops selling souvenirs at the base of the dune. There is also an information desk and toilets available. This is awesome! I love sand dunes! Thanks Kylie 🙂 Well, it’s the place to be then! Never heard about this before. Thank you for sharing. I would love to go there one day. I hope you get to visit Gypsy Soul – it’s such a unique place to explore! Maybe you know if is advisable to visit the dune during winter, like nov-february, how are the winds for paragliding or is freezing and raining like hell. Haha raining like hell isn’t too far off the mark 😉 The weather in this part of France is quite unpredictable over winter. Our first winter here was wet and windy, the second winter it snowed! You could chance it in early winter when if you’re lucky you’ll get a cold, cool, but fine day. Not sure what kind of wind you need for paragliding – I’m assuming a fair bit – in which case now is good!